It is rainy and chilly here in Minneapolis, and although we just had a weekend of 90 degree weather, I’m slightly excited about the possibility of autumn approaching. 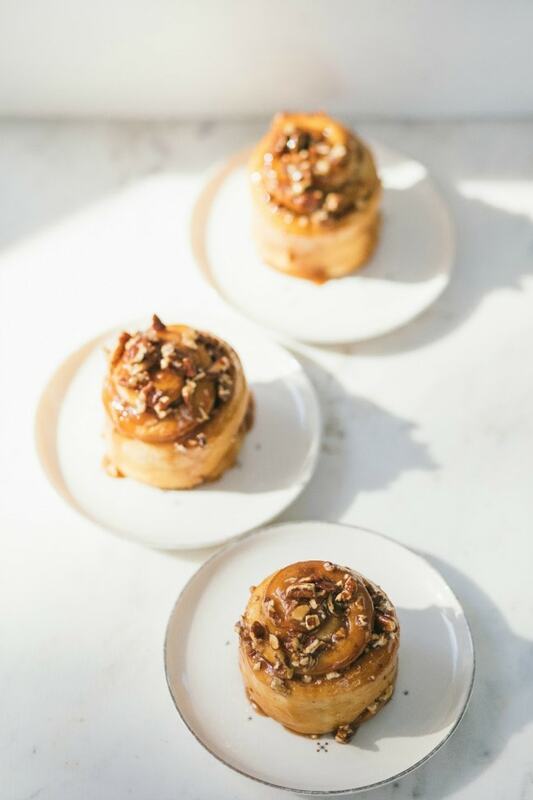 Caramel Rolls seem like the right way to celebrate. 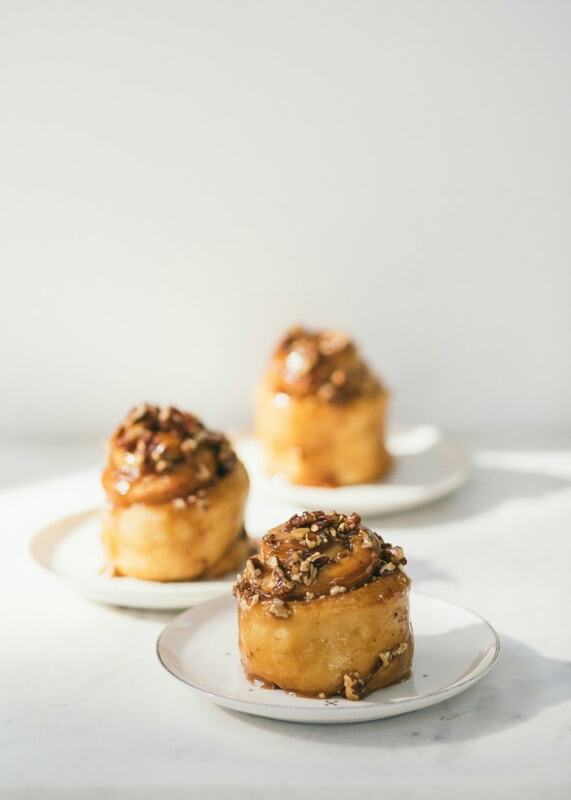 Made with my favorite sweet dough, these rolls are swirled up in cinnamon, nutmeg, and cloves, then smothered in warm caramel and toasted pecans. I made these rolls in the Mauviel soufflé molds I am always going on about, but you can nestle them together in a 9×13 pan if you don’t have individual pans. I’ve made the rolls in individual soufflé molds, specifically, these 3 x 2-inch copper mini molds from Mauviel. If you do not have soufflé molds, you could use ramekins instead, just make sure they are roughly the same size. The molds I used have straight 2-inch sides, which helps give the rolls their tall shape. 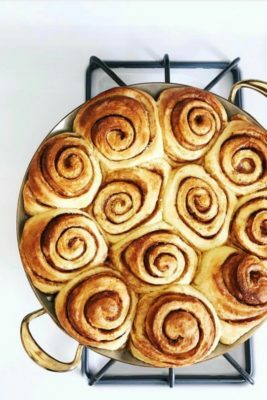 The sides of the pans are buttered and then dusted with sugar, which caramelizes the sides of the buns, making for an incredible roll. The one downside to the copper molds is that they are crazy hot when they come out of the oven, which can make it a little tricky to get them out. I use a kitchen towel and wrap it around the base of the copper mold, then run a knife carefully around each roll, and flip them onto a wire rack. Make sure to line the bottom of each mold with parchment paper as noted in the instructions, or the buns will stick to the bottom and it will be extra hard to get them out. I like to make the caramel first, and let it come to just room temperature, before pouring it over the rolls. It’s warm enough to pour, but becomes thicker and clings better to the rolls. In a small bowl, mix the brown sugar, cinnamon, nutmeg, cloves, and salt. Set aside. Butter ten 3 x 2-inch soufflé molds (see note above about soufflé mold specifics). Line the bottom of each mold with parchment paper, and then generously coat with granulated sugar, tapping out any excess. Place the molds on a baking sheet. Roll the dough into a 16 x 12-inch rectangle. 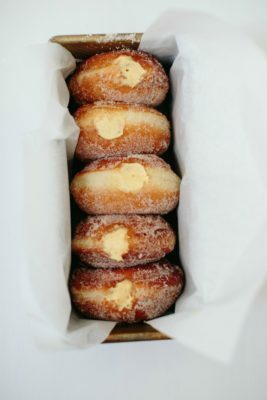 Brush the dough with the melted butter and sprinkle the cinnamon-sugar mixture evenly over the top, pressing it lightly into the butter so it adheres. Starting at the long side, roll the dough into a tight cylinder. Pinch the seam gently to seal it and position the dough seam side down. Use a scissors or a sharp knife to cut the dough into 10 equal pieces. Transfer the pieces to the prepared pans and place them cut side up. Cover the pans loosely with plastic wrap and let the dough rise until doubled, 1 to 1 1/2 hours. While the rolls are rising, prepare the caramel sauce. Remove the plastic and bake 22 to 30 minutes, rotating the pan halfway through, until the rolls are golden brown. Transfer the pan to a wire rack and let the rolls cool for a few minutes. 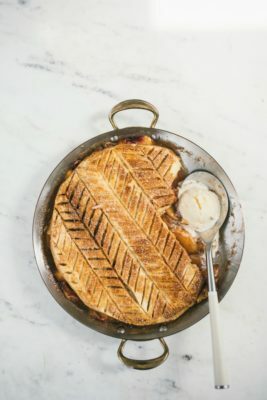 Use a kitchen towel or oven mitts to pick up each soufflé mold, then run a knife carefully around the edges of the pan, and flip the roll onto a wire rack set on top of a baking sheet. Carefully put the roll right side up, and repeat with the remaining rolls. Pour half the warm sauce evenly over the tops and sides of rolls and let them sit for 10-15 minutes. Stir the pecans into the remaining caramel sauce and pour over the top, covering the rolls evenly. Serve. Pour the water in a medium, heavy-bottomed saucepan (the caramel will bubble up quite a bit once it starts cooking, so it’s important to have a pan that is deep and also has a heavy bottom to prevent burning). Sprinkle the sugar and salt on top. Very gently stir the ingredients together, just until the sugar is completely wet, being careful not to get the water or sugar on the sides of the pan. Cook over medium heat, shaking the pan occasionally to stir the sugar while it melts. When the sugar crystals have completely dissolved, increase the heat to medium-high. The sugar will begin to foam. Let it bubble and boil 3-5 minutes, keeping an eye on it so it doesn’t boil over. Give the pan a swirl every once in a while to help the sugar turn color evenly. The sugar will begin to turn dark golden brown at this point, and you want to keep it bubbling until it just begins to smoke. Remove from the heat and add the butter, whisking carefully (remember, the sugar is crazy hot). Whisk in the heavy cream, followed by the vanilla. Set the caramel aside and let it come to room temperature. I love caramel anything! 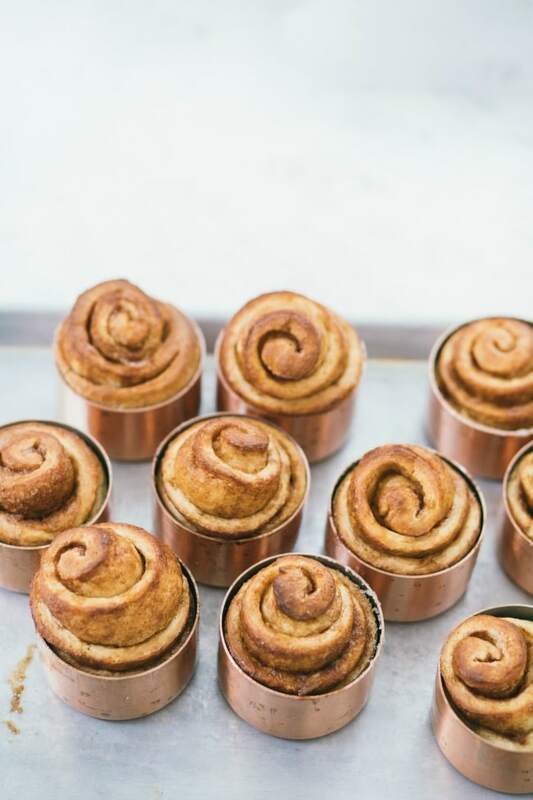 These look so delicious and perfect for weekend brunch! these look SO good! I love how they turned out being made in those Mauviel pans! Fabulous! I am going to make these beauties this coming weekend for the baby shower I am hosting. I think I will add a dollop of marscapone cheese. Yummo!!! Thank you for the inspiration! Okay super jealous it’s cool there – it’s rainy and hot here and Illinois has taken on a jungle-sauna vibe. Yikes. 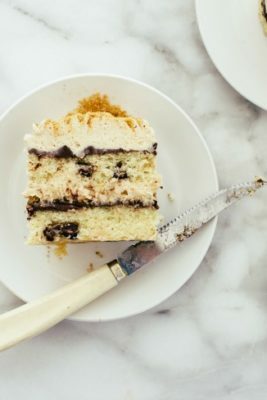 These look beautiful and delicious! I don’t have those molds, but may need to invest! I’m dreaming of fall. The summer down here has seen deluge after deluge and the air is humid enough to swim in. 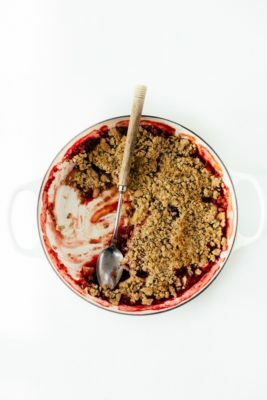 I cannot wait for the season to turn, but until then, I’ll have to content myself with autumnal recipes like these. 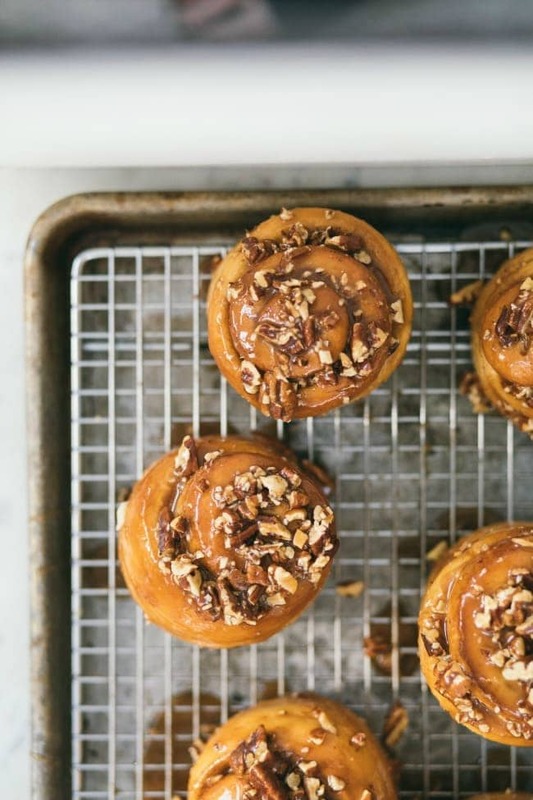 I never take the time to make proper cinnamon rolls, but this gorgeous recipe is definitely convincing me. Oh my goodness, my mouth is watering. These scream fall mornings. They look incredible! I grew up with caramel rolls, so these are giving me nostalgia. LOVE!